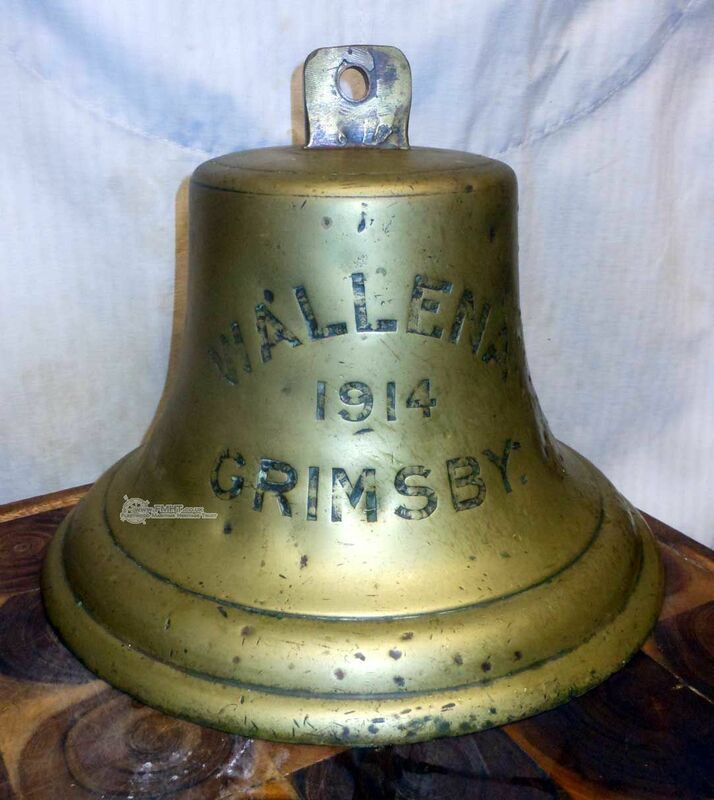 17.12.1913: Launched by Cook, Welton & Gemmell Ltd, Beverley (Yd.No.261A) for Walter Olney (64/64), Fleetwood as WALLENA. 3.3.1914: Registered at Grimsby (GY12). Walter Olney designated managing owner. 20.3.1914: Vessel mortgaged (all 64 shares) to London City & Midland Bank Ltd, London (A). 1.1915: Requisitioned for war service as a minesweeper (1-3pdr) (Ad.No.907). 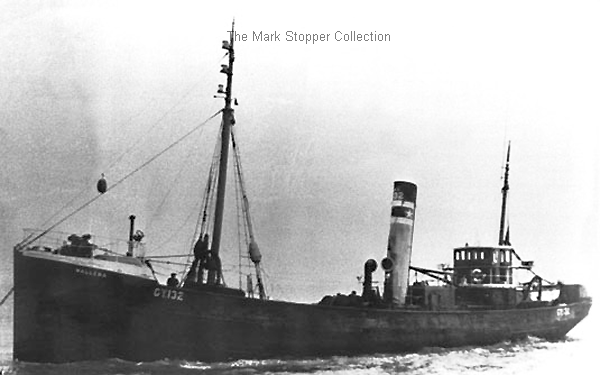 4.10.1915: Sold to The Neva Steam Trawlers Ltd, Blackpool. 5.10.1915: Mortgaged to London City & Midland Bank Ltd, London (B). 8.10.1915: Ernest Tomlinson appointed manager. 8.7.1917: Ernest Tomlinson & Joseph A. Taylor, appointed managers. 10.3.1919: Registered at Fleetwood (FD82). 1924: Sold to James N. & Harold Bacon, Grimsby (William W. Brierley, manager). 6.12.1924: Registered at Grimsby (GY132). 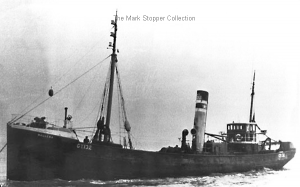 9.1930: Sold to Kottingham Trawling Co, Grimsby (James N. Bacon, manager). 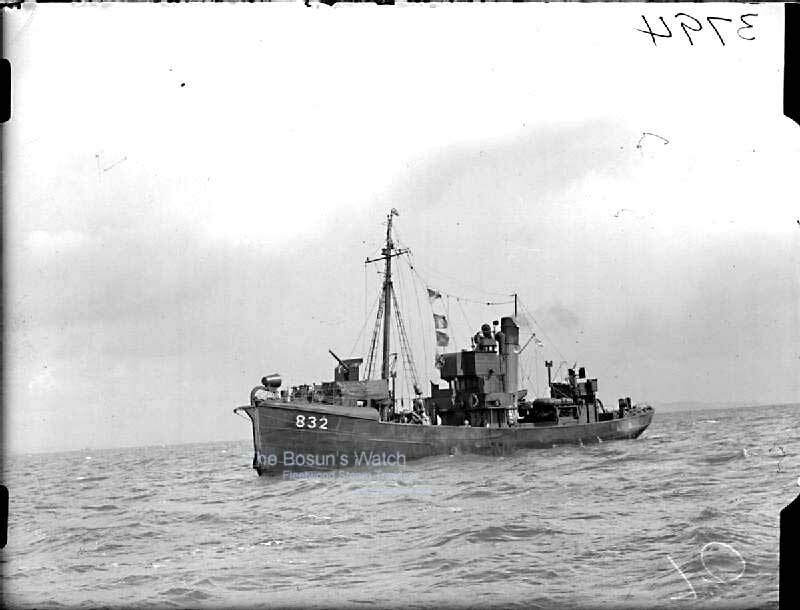 27.11.1939: Requisitioned for war service as a minesweeper (P.No.FY.832)(Hire rate £60.0.0d/month). 1942: Based Granton M/S Group 105. 1944: Sold to Parkholme Trawlers Ltd, Fleetwood (Harvey Wilfred Wilson, Grimsby, manager). 4.1945: Fitted out for boom defence gate duties. 11.9.1946: Laid up in Grimsby. 1949: Sold to John R. Hepworth & Co Ltd, Paull for breaking up. 27.7.1949: Left Grimsby in tow for Paull. 08/01/2009: Page published. 2 updates since then. This entry was posted in Steam Trawlers, Steamers (Picture) and tagged Neva ST Ltd, Parkholme Trawlers, Walter M Olney on January 8, 2009 by Fred Smith.